“I like video games, but they’re really violent. I’d like to play a video game where you help the people who were shot in all the other games. It’d be called ‘Really Busy Hospital.’” – Demetri Martin. – A new Micro Machines game will be released on mobile platforms, according to Patrick O’Rourke at Mobilesyrup. 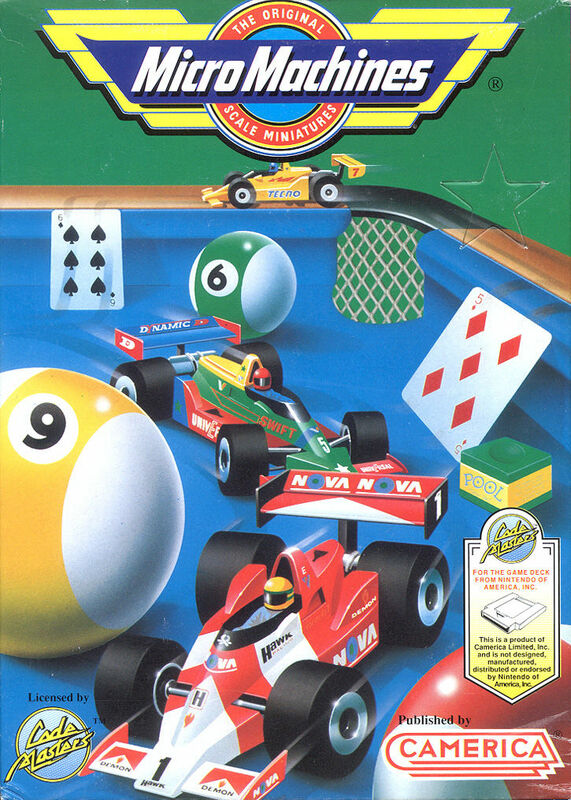 The original racing game was one of the classics for the NES, although surprise surprise, it was hella hard. – There was a really cool classic find this past week, as Cameron Koch of Tech Times posted the original press release for the NES. – On the Fallout 4 release date of Nov. 10, Nuka Cola Quantum by Jones Soda will be available at Target. See a picture here. – A formerly unreleased Swedish SNES game, Dorke and Ymp, is coming to Steam, per Chris Priestman at Siliconera. It looks like a puzzle platformer with a vibrant art style, although a bit awkward to play. – Crash Bandicoot 2: Cortex Strikes Back is now an adult, as it came out 18 years ago. – In 2003, The Return of the King came out for the PC, PS2, Gamecube and Xbox. It was way better than past YPB game The Lord of the Rings for Super Nintendo. – It was only eight years ago, but Call of Duty 4: Modern Warfare came out. In 2013, Call of Duty: Ghosts came out for the 360, so the series kind of likes November. Video game history information comes from GameFAQs and Moby Games. And as always, if you’d like to support the show, do so via our Amazon link.